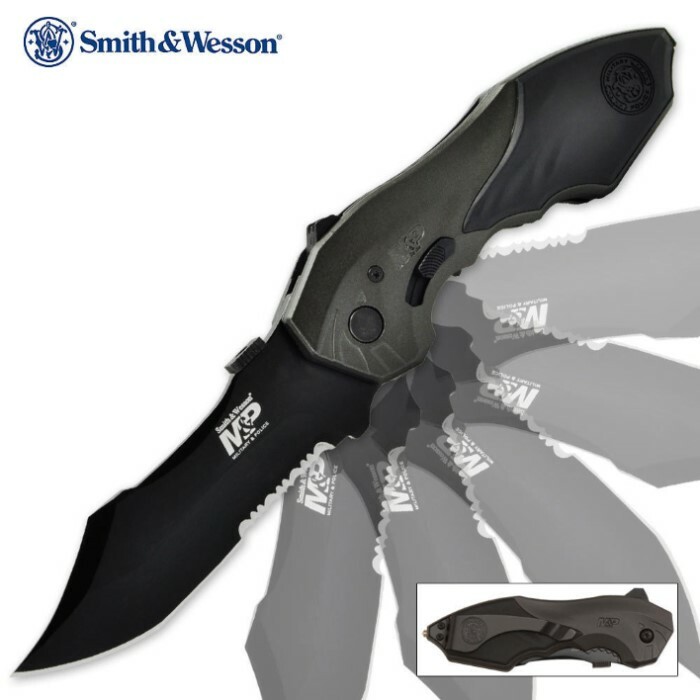 Smith & Wesson M&P Assisted Opening Pocket Knife | BUDK.com - Knives & Swords At The Lowest Prices! 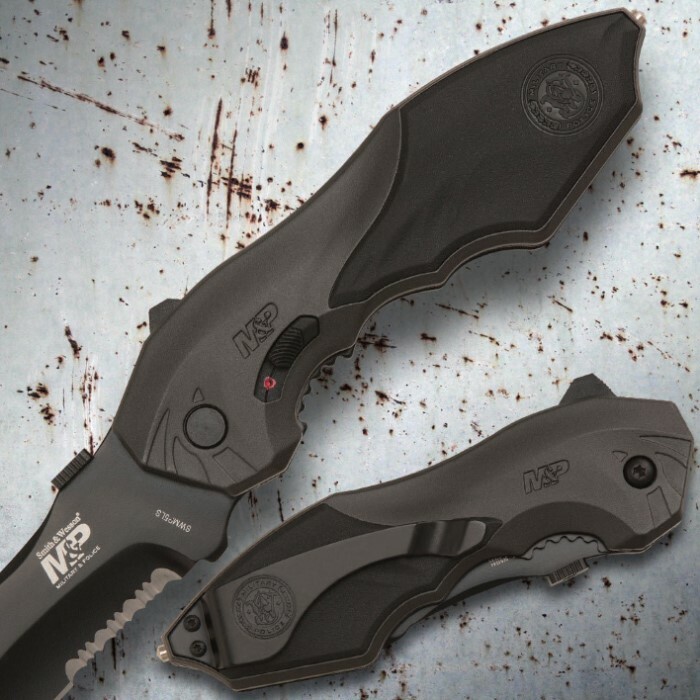 You can't go wrong with this Smith & Wesson M&P folding pocket knife equipped with a modified clip point blade constructed of 4034 stainless steel, this time with a partially serrated edge that is razor sharp. Built with a sliding safety release, you can engage the rapid-release M.A.G.I.C. assisted-opening mechanism with the thumb stud, and put this serrated pocket knife to work.